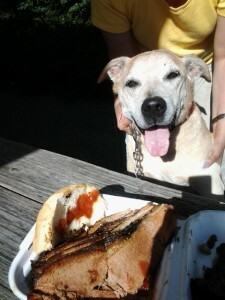 Boy getting ready to chow down on Dave’s brisket! This is a real roadside barbeque in Maine. Dave is like the “Crazy Eddy” of barbeques! 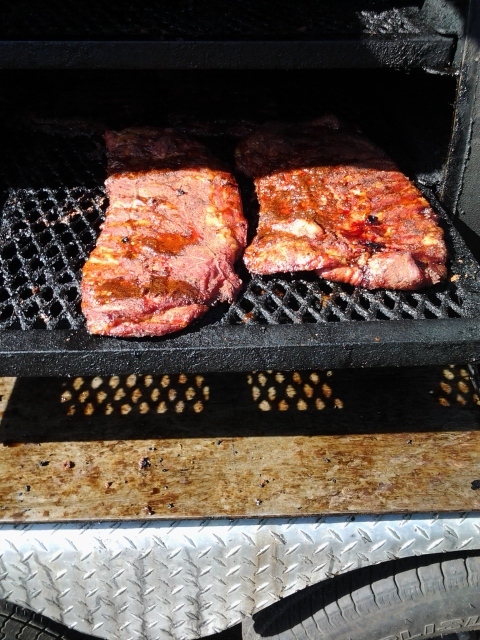 He’s got this huge smoker he parks in the parking lot of Super Shoes on Route 3 in Ellsworth, and I can tell you this, Boy gives the juicy brisket sandwich a “ tongues up!”. Make sure you try Dave’s homemade cornbread too, you’ll want to take a few pieces to go, for sure. 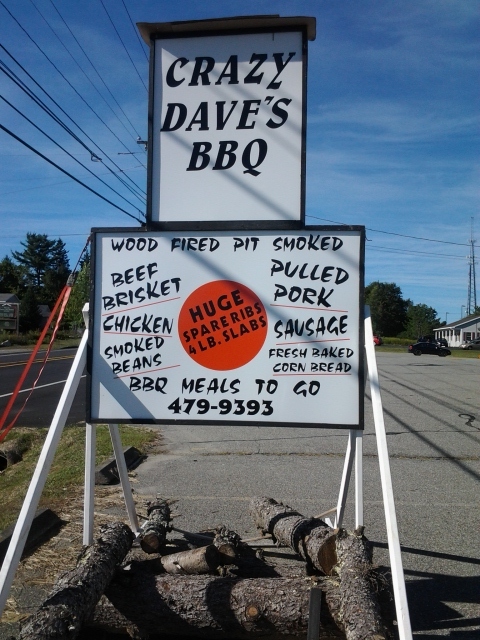 If you want a good roadside “pick me up” barbecue in Maine, stop by and say hello to Dave.